7 Kids and Us: Wonder Forge Games Introduces a New FROZEN Game + Marvel Heroes! Wonder Forge Games Introduces a New FROZEN Game + Marvel Heroes! If your kids are like mine, and almost every other kid in the world. They are Frozen obsessed! My boys can't get enough. Even Riley asked me if he could be Elsa for Halloween. Boys, Girls, Moms and Dads, it seems like everyone is on the FROZEN bandwagon! 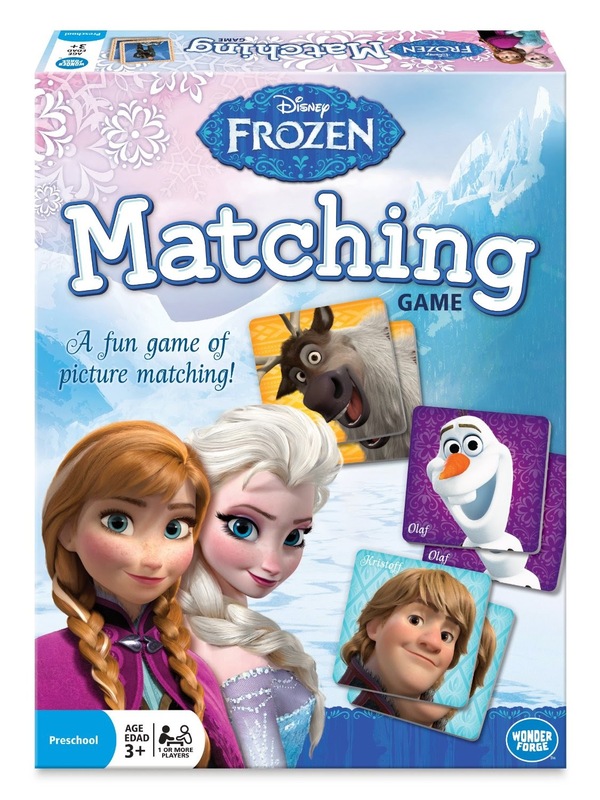 The Frozen Matching Game is the classic game of picture matching, now featuring your favorite characters from Frozen! Flip over brightly colored tiles and find beautiful pictures of sisters Anna and Elsa, plus friends Kristoff, Olaf, Sven and more. What familiar faces will you see? Pick up the most matching pairs to win! My boys are in love with this game. They love matching their favorite characters, and even more, they love that they can play it with even their littlest cousins since it's made for age 3 and up. Wonder Forge is always on my list for games. I know the games will be fun, age appropriate and durable. 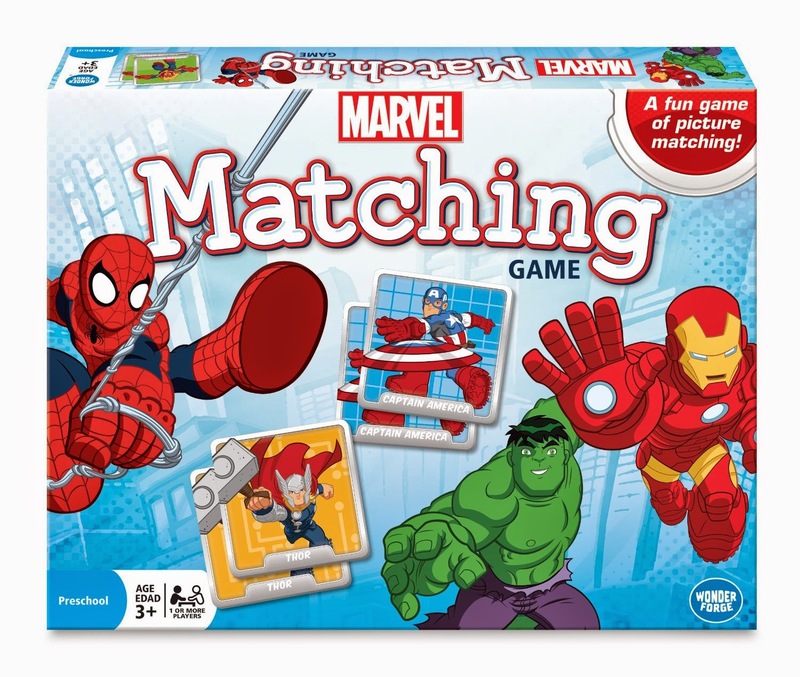 Marvel Matching is another one my boys favorite games! They get to match their favorite superhero. They play with an added element though..when they both make a match, they pretend to be the characters they each got, and "fight" it out!